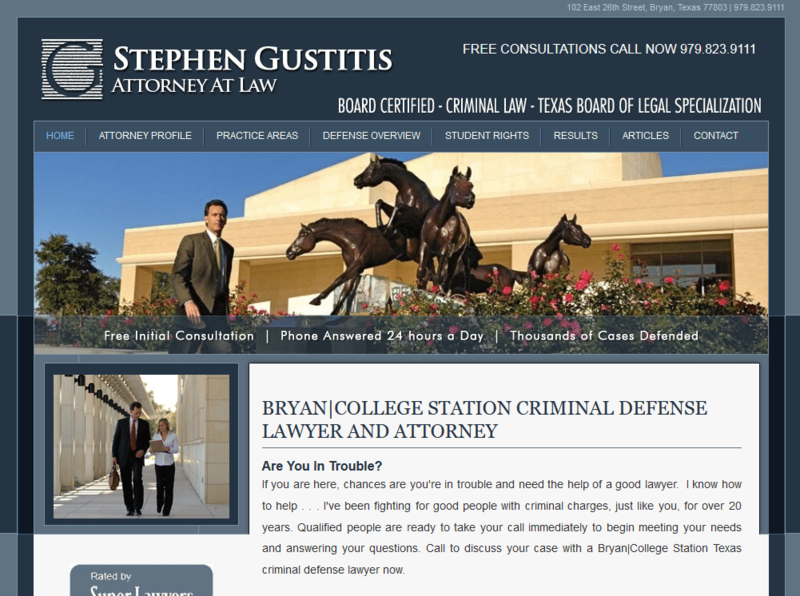 Steve Gustitis is a prominent Brazos Valley attorney who specializes in many areas of criminal defense. He needed to have a website that reflected his image and was properly optimized so that he could attract the type of clients who really need his legal knowledge and expertise. After creating an initial website in 2008, Web Unlimited has recently completed a redesign project to include updates and responsive web design.